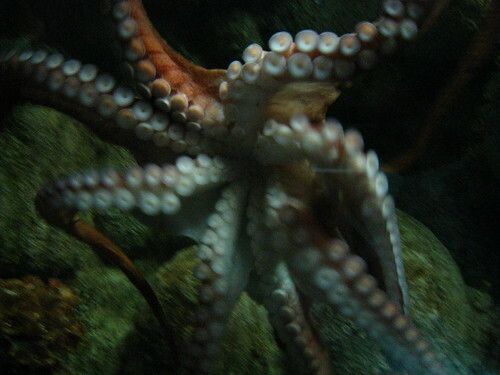 Also, here is a picture of an octopus. Have more than one octopus in your tank? Surprise, it’s not a tangle of octopi. Next Post Happy Skynet Day! LOL You come up with the oddest stuff, but it’s always stuff that I like. Guess that means I’m odd, too. At the park on this cloudy day. These colors! So bright! Such spring! I finished these socks, which were for my SAL last year, and took me ages.